Party hats instantly make a special event feel more festive. Plus, kids love them. 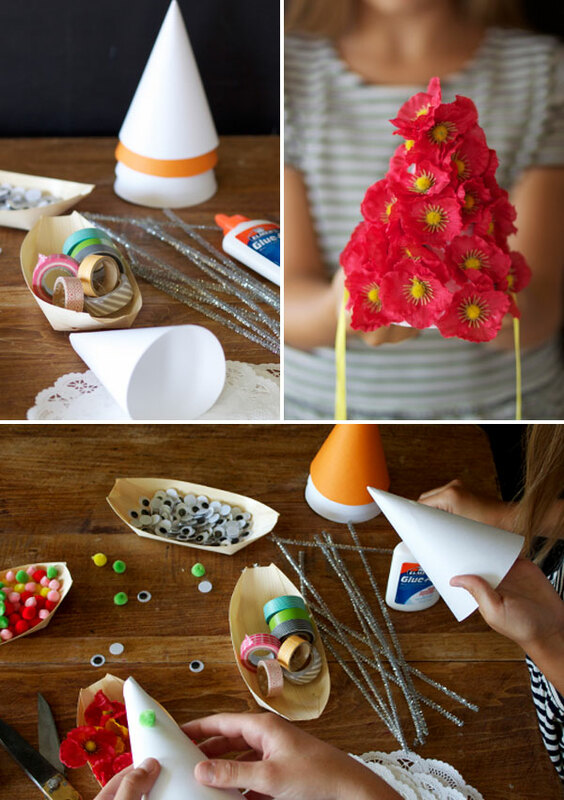 At your next shindig, wouldn’t it be fun to let the kids decorate their own? To make a party hat station download this party hat template and prepare a few hats before your guests arrive. 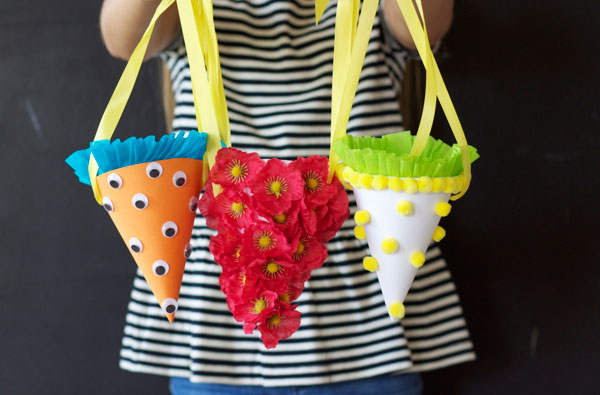 Buy inexpensive and fun supplies like artificial flowers from the dollar store, pom poms, and googly eyes. Have glue handy for the kids to attach their desired adornments. Good ‘ol Elmer’s worked great for the pom poms and googly eyes. Hot glue is best for the artificial flowers. Choose a pretty satin ribbon that coordinates with all of the other supplies and enjoy seeing what your little guests create! Step 1: Before the party, download this party hat template and use the cardstock to make enough hats for all the children invited. Step 2: Arrange all the supplies on a table. So cute! Really admiring your lovely blog design & cheerful content. Aww so cute! You definitely make the best party hats. Awesome ideas as always! Such a cute idea! I love it. This would be so fun to do with a group of little ones. 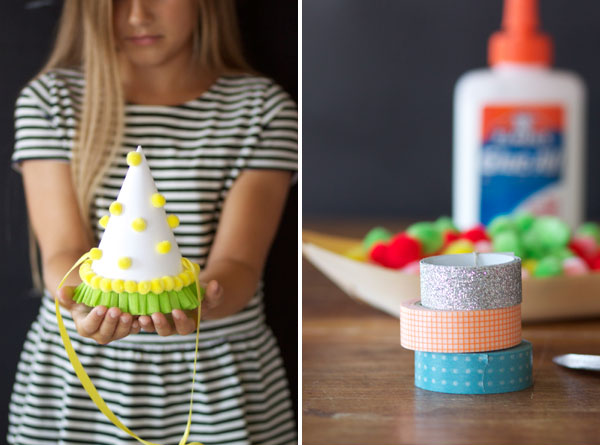 I have never thought about a party hat station, brilliant idea. I may do this with my niece and nephew tomorrow, just because it’s friday and they are coming over. Thanks for the suggestion. a floral party hat combines my two favorite things : party hats and flowers. i don’t think i could love it more wonderful idea. What a cute idea?! love it! What a darling idea! We could see this implemented at any party but also at weddings by just changing the shape of the hat from party cone to a pill box. What lady wouldn’t love to don a festive hat at a wedding?